“Heavy cream” or “heavy whipping cream” must have a fat content of 36% in the USA. 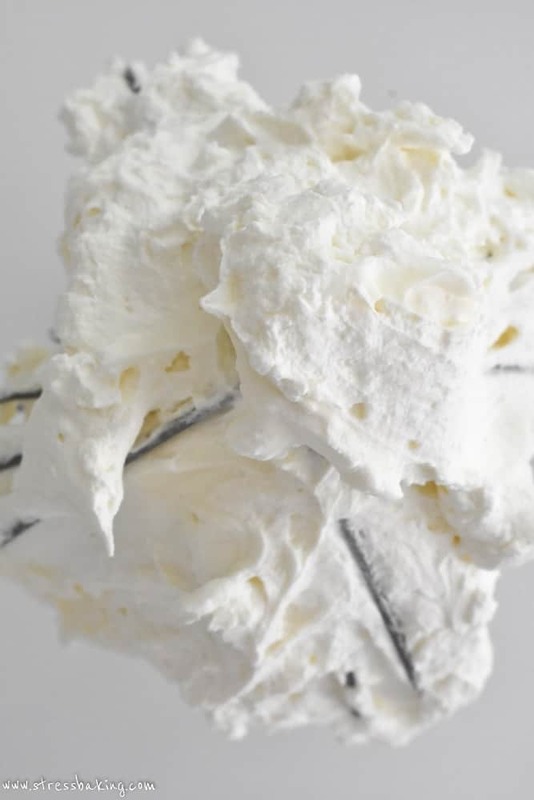 While “whipping cream” must contain at least 30% fat. 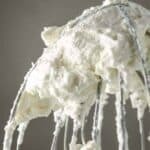 Adding softened unflavored gelatin will also add staying power, as this stabilizes the whipped cream so it doesn’t loose volume. All of these recipes containing milk, cream, raw eggs, cheeses should be kept under refrigeration to prevent bacteria growth and food born illness. Mine curdled too!! I’ve made this once before (but I used 2 cups heavy cream instead of 1) and it was a total hit, pipable, smooth, and fantastic in taste and texture. This time though it reached the soft peak stage, but I needed this to pipe, so I continued to whip, but then the moisture started to come out and it became…loose and instead of creamy, it looked like it had small curds in it. What do you think happened? I really appreciate your input :). Yikes! Sorry to hear that. It sounds like your bowl got too warm and it was whipped for too long. I find that placing the bowl in the freezer for 15 minutes before I make it helps keep it cold, but to be honest I’ve never run into any curdling issues before (and I’ve made this a LOT). I hope that helps! Mine curdled too, are you saying that it could have been caused by overwhipping the mascarpone? Thank you for this additional information. Were you able to bring back this mixture once it curdled/broke? If so, how did you do it? I just had to throw out a double batch because once it reached the soft peak stage, it seemed to go straight to curdled. First try and success! More than that, my guests loved this frosting. One thing I did find was that the frosting was a bit fluid, so I just whipped the whole thing on high speed again and it didn’t ruin the frosting at all. How much frosting is this? Enough for 24 cupcakes? Thank you for posting this. It is so delicious! I see what you mean about sitting and eating it straight up. I took a few spoonfuls myself. I’m sure not going to judge you! I made it once with vanilla extract for a chocolate cake and once with lemon extract for a lemon cake. This is my new favorite frosting. Hi Christine, I too am a master at curdling this recipe! 2 out of the 4 times I’ve made it to be exact. Am I to understand that once your frosting curdled you did your microwave procedure? What’s been happening to me is that once the cream is poured in and is being whipped, I watch it carefully. I see it getting thicker, say the perfect consistency for topping berries, but I need it thicker for frosting and piping the outside of my layer cakes. Well, that’s when the trouble happens. I have the mascarpone and cream at the same temp, actually, the cream is a bit colder since it stays in the fridge while I’m whisking the mascarpone & sugar. Could that little bit of temperature difference be the cause? 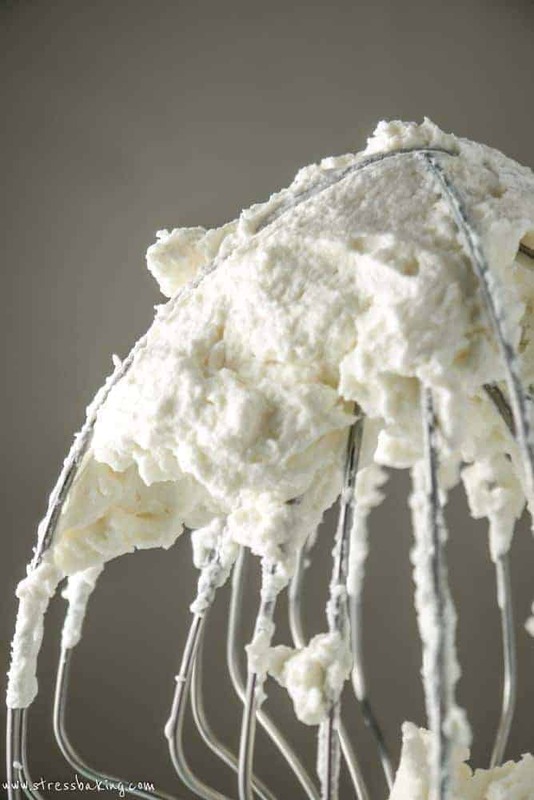 Or have I overwhipped the mascarpone? Because as I wait for the mixture to get thick enough for a piping bag-BOOM- in seconds the consistency goes from too loose for a piping bag to curdled and broken. If anyone can chime as too what may be going wrong I would be so grateful. The flavor of this recipe is divine and I would like to be able to count on getting the consistency right, which for me is being able to put it in a piping bag. I’m going to use this for cupcakes tomorrow, how soon before I serve them should I frost them, also do I load my whip cream dispenser after I mix it up? It depends on the type of cupcake, but generally I just wouldn’t recommend doing it more than 12 hours ahead of time (but if you do, pop them in the fridge). And I’ve actually never had the pleasure of using a whipped cream dispenser myself but you should be able to just load it once everything is prepped and ready to go! So I clan put the liquid in in the dispenser before I whip it? I have just plain funfeti cupcakes, we’re meeting @ 6,so it’s OK to prep them before and pop em in the fridge? Ty! I’m using just a funfeti cake mix to make cupcake! Everyone is getting here around 5.also do I put the whip cream in the dispenser after the liquid is mixed & before I whip it? Last question, promise! I know you said not to frost 12 hours before, but how long can it sit on the counter? That sounds delicious! Since I’ve never used a whipped cream dispenser, I’m unfortunately not sure if it’s bad to put it in after everything has already been combined. Like any dairy product, I wouldn’t recommend letting it sit out on a counter for more than two hours. Just made the liquid & put it in the canister, I had to shake it before it would work… I needed to taste it yah knew! I’m disabled and unable to use a piping bag with one hand, I bought this canister in the hopes of being able to frost/decorate one handed, this Frosting works perfect, ty! Do you know of any other liquid base Frostings I could use?? Where has this been all my life!? I’m in LOVE, thanks for sharing!! 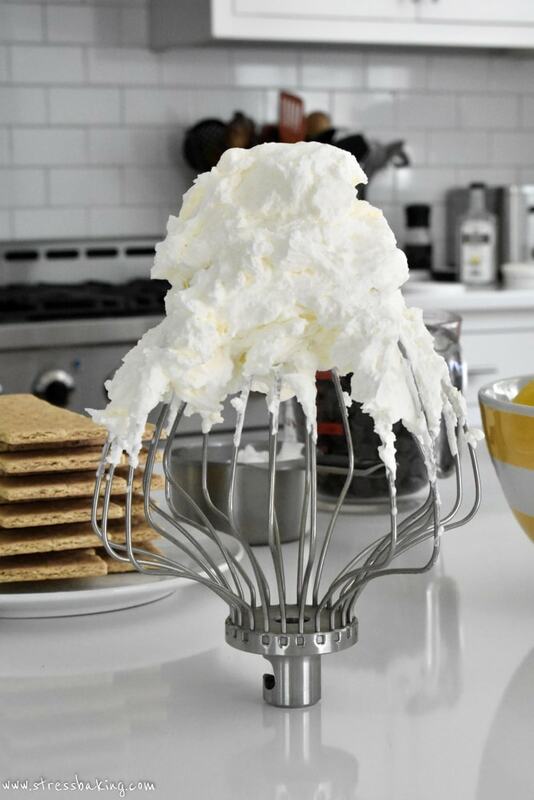 hi – made a silly mistake without thinking………..made the mascarpone & cream whipped cream with the sugar. i wanted to use it with tiramisu. i’m now realizing that i need to add the sugar to the eggs to make the saboayon. it’s already so sweet with the sugar in the whipped cream. can i make the egg mixture without sugar? or any suggestions? I’m sorry, I’m not familiar enough with manipulating tiramisu recipes to confidently answer that – but my inclination is that you wouldn’t be able to make the custard layer without sugar incorporated. Hi. I apologize if this question has already been asked. Can this yumminess be made chocolatey by using cocoa powder, or would that ruin the stability? Thank you ever so much! Someone mentioned that she made it with what came out to be two tablespoons of cocoa per original ingredient amounts (she quadrupled the recipe, so she used a total of eight tablespoons). I also made it with cocoa. It was good, but a little grainy. I did not have Hershey’s cocoa on-hand, so I had to use Godiva hot cocoa powder. That may be why it turned out grainy. When I first made this recipe, I accidentally used the entire 8 oz. container of mascarpone. It turned out more like frosting than stabilized whipped cream. So if you want a light-textured frosting, go with the stated amount of 4 oz. If you want it somewhat heavier (but still lighter than normal frosting), go with 8 oz. It’s just as delicious! I’m happy to use 8 oz. because if I use 4 oz., the remaining 4 oz. will probably go to waste since the container says do not freeze. Both were huge hits with my family! Thank you so much for your response. Tonight I made it for my second time, out failed miserably. I don’t even really understand what I’m looking at. When I opened my brand new heavy whipping cream, it was spoiled to a disgusting level. I only had 1 and 1/4th cup of hwc that was good. I thought I’d give it a try, this was a mistake. At first it was grainy but on its way to fluffy goodness. I walked out of the room for 2 shakes of a lamb’s tail and it turned into something else. It looks like butter clumps in cloudy water. Can anyone help me understand what just happened? I have a client that wants a Chantilly cream, (thinks ABC is too sweet and was wary when i recommended SBC) but’s it’s for a two-tier cake with fondant decorations here and there. can I use this recipe to pipe rosettes all around a 12 inch cake as a bottom tier for an anniversary cake. WiIl the rosettes hold their shape? Sorry that I didn’t see your comment until now! They won’t hold their shape like a buttercream frosting would on the sides of the cake, it’s not that sturdy.